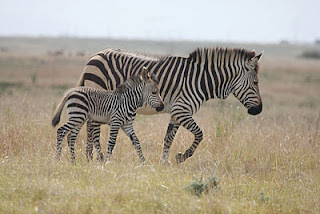 ... so much so it is recorded with zoological verisimilitude that it can be identified today as the smallest of the three subspecies of zebra: the Cape Mountain. She lived on in England for 11 years … first at Buckingham House (now Palace) and then at The Tower of London, where she shared her accommodation with an elephant. The connection here is that William Hunter (Scottish Anatomist), elder brother of John Hunter, (the Surgeon), was Accoucheur to the Queen, George III's wife. Both were interested in anatomy of one sort or the other … both opened Museums to hold their collections. Apparently his studies are called ‘Museology’ … or Museum Studies … the study of museums, museum curations, and how museums developed into their institutional role in education through social and political forces. Thank you so much for a fascinating A-Z. And how lovely to finish with the stylish zebra. Mind you, I suspect that she and the elephant both missed their warmer homelands. Great work on the A-Z series, H. Phew. Must've taken some research? Thanks. I like zebras. They always look friendly. Congratulations on a really interesting A-Z. Museum studies...? I had no idea. And it's pronounced Zomerzet? Considering that one of the schools I work at has that name... They'll look at me funny if I try that. Goodness, the equine artist even painted a zebra! This is fascinating. And thanks for a very entertaining A to Z! I'd like to follow and see what your non-A to Z posts are like. Congratulations on another great A-Z! Your theme was quite challenging, Hilary. I often wondered where you got all your data from. Getting an animal for each alphabet must have been quite a challenge. Congratulations on finishing such a tough challenge! That was such a great read. Hot cup of coffee in hand and doing my regular blog-round. Thanks a lot for that. Just a few months ago I was surrounded by Zebras. They looked too perfect to be real! I'm pleased we don't pronounce our county Zussex, aren't you? Thank you for a great month Hilary, it's been both entertaining and informative. Thanks for an interesting and very informative A-Z, I learnt a lot I didn't know. Zetland is a name in a wide use in the north east area where we live. The Stubbs Zebra is remarkable, depicted so accurately. I loved your A-Z, thanks for all your research and fun info this month. PS - Congratulations on your excellent A-Z! Congratulations on finishing the A to Z. The zebra looks as if she is posing for her portrait. Terrific job on the A-Z, Hilary! I've enjoyed reading your posts and getting to meet you. I have enjoyed your A-Z series, Hilary! Thank you for providing information on so many various breeds and animals. Congratulations on completing the challenge. It's been an original, enjoyable and informative A-Z, Hilary. You certainly made it a good one Hilary thanks so much. So much fascinating information. Congratulations on finishing the A to Z.
Congrats on making it through the A to Z. I haven't been around much this month. I will have to read through some of your posts. Have a lovely day! I learned so much here, Hilary. Such a fascinating theme. Zebras are beautiful creatures. Love the artwork! Congratulations on another successful A to Z Challenge! See you around the Blogosphere. Congrats on finishing A-Z! Bravo! 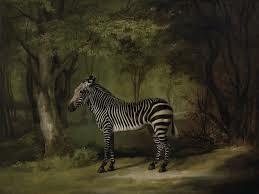 Love the painting by George Stubbs :-) Thanks for all the interesting posts this month. Zebras and zoos--sure, but where the heck is Zetland? I probably missed a metaphor in there somewhere. 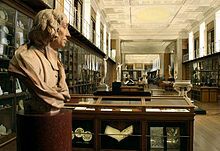 Museology and the Enlightenment Room - wow, I'm swooning with these terms. What a great ending to a very fine series Hilary - I've learned so much here. Congratulations on finishing the challenge, and now it's time to put your feet up and relax! Zetland is also an old name for Shetland! @ Elizabeth – she does look small doesn’t she – she is the smallest of the 3 species: the Cape Mountain zebra – probably why she could be caught. @ Mike – well I can reliably tell you I knew so little – thank goodness it’s here on the blog! I’ve learnt loads. Now I’m not sure I know the zebra-donkey joke ... I’m sure I could find it – but will leave that thought for now! @ Bazza – brilliant thank you … sadly no rest for the wicked – but that’s life … I need to be bright eyed and bushy tailed …! Did I write about one of those? No I don’t think so! @ Madeleine – oh gosh … I’m going to carry on wondering how many zebras there are!! Your photographs today are particularly entrancing, Hilary. The Cape Mountain goats/zebras had me mesmerized and Zedland is a verdant fairyland. 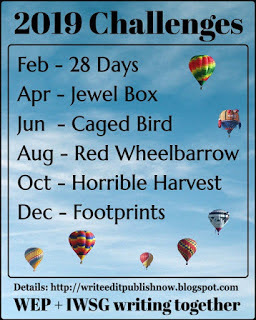 Congratulations on completing this year's AtoZChallenge. Incidentally, I have a museologist in my close family..
Oh yes, just saw the Archives links there. So I will be back to read more. Yay, you've done the whole series so well. All interesting and informative posts. @ Lenny – well done, lovely to see you here and I could have put our Zdena in … but then I’d have lots of explaining to do … she does appear, if anyone is interested in my Z post of the 2013 Aspects of British Cookery series; she is an ardent follower of the wine god, Bacchus: he who will be much loved this week! Your posts on Arabiana were quite extraordinary … and I’m going to have an enjoyable time reading them, looking at the wonderful snippets of video and hearing the music – gorgeous. Thank you for such lovely, informative posts. You posted so many wonderful things during the A to Z Challenge, and I learned a great deal. Thank you! And congratulations for completing the challenge! Zebras are such beautiful animals. I loved reading about the one who lived in Buckingham and the Tower, but always prefer to see these wild creatures in their own natural setting. Hope that setting lasts and lasts. I had heard there was a zoo or menagerie at the Tower of London - in fact, I probably learnt that at this very blog. It's certainly had varied uses! Never knew there was a field of study for museums, but it makes sense. Thanks for some wonderfully informative posts this April. Zebras in UK? Now that's a surprise. Great finale to the a-z, Hilary! Lovely post and very different to anyone else's entry on Zebras. Zebras are fascinating. I always wonder -- is it black on white or white on black? Congratulations on finishing the challenge successfully. 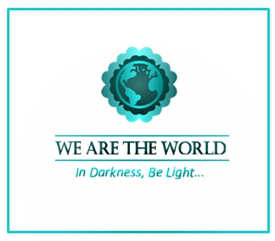 @ DeeDee – just glad you enjoyed the theme and posts and it’s a pleasure to pop in and say ‘hello’! 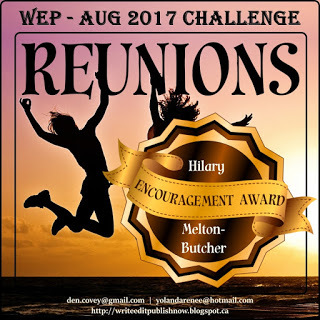 @ Susan – thanks for the support during the Challenge and your ideas on Aging –made me think and I’ll be back to re-read a few. @ Denise – thanks so much for visiting and being there when you were travelling; then also that feedback comment re reading the posts on a machine rather than on a mobile. I’m just glad I rarely look at things on a mobile or even ipad … but I’m delighted you learnt a lot about our rare breeds. 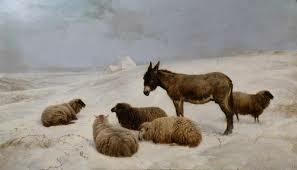 @ Nick – yes there were a few menageries around in the 1800s – I’ll do a note in my Reflections post on them. I can reliable say I’d never heard of a Museologist – hence the term had to go in … and then Nila said she had a museologist in her family … strange but true! @ Kim – thank you … I enjoy being different, not intentional just my nature apparently! Another great job doing the A to Z! You amaze me with all the information you present us in your posts. Congratulations on completing the 2017 Challenge and thank you for participating in another one. @ Sarah - delighted you enjoyed the posts and theme - it was certainly interesting for the author too ... !! As always your A to Z was wonderful. I didn't catch it all, but what I did read was interesting, well thought out and researched. Thank you for a great A to Z.
I've learnt so much in April from your posts Hilary, so thank you for the education. Not far from where we used to live in England was the Tring Natural History Museum - the Victorian gentleman who set it up used to have two zebras to pull his carriage when he travelled around - very eccentric. Well done in completing the challenge. @ Pamela - delighted and good to meet you up in your Highland home ... maybe not up here, but down on the sea with the Highland backdrop - I enjoyed the Scotland tour. Yes I've visited Tring and have on occasions written about Walter Rothschild, who had always wanted a museum from the age of 7, and his zebras ... he was a man of the times - but with a great sense of what needed to be done ... hence the museum. Hi Hilary. Good for you spending time to answer our umpteen number of questions! I asked about the tarring too. Eight or nine miles a day sure is a lot! I guess they needed the protection, but I hope the process wasn't painful. I keep imagining what a noisy day that must have been, and then watching them march to town. Thank you for the update!